A team of Cuban specialists in this capital performs transmission tests to eight channels of digital television and six radio stations with satisfactory results. The Cuban Institute of Radio and Television (ICRT) digitally produced four of these channels: musical, informative, juvenile and Multivision (nationwide). In statements to Prensa Latina, Eusebio Garnier, technical director of that institution, said that Havana has five transmitters which work with the Chinese standard to carry out the experiment. Some families and institutions in the capital had access to 45 000 set-top boxes that enable to test reception levels, he said. 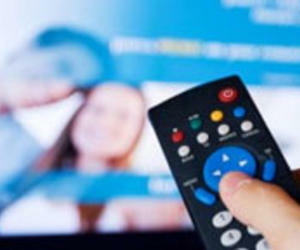 Juan Carlos Gonzalez, technical chief fot the implementation of digital television, said that among the advantages of this technology are the added values that receivers can access. "The public will have an interactive menu that will offer news, weather, programming guides and access to a selection of documents from the Cuban collaborative encyclopedia Ecured" he said. Specialists believe that this experiment may encompass other parts of the country by the end of the year. Therefore, the provinces of Artemisa, Mayabeque, Villa Clara and Cienfuegos, and the special municipality of Isla de la Juventud began to change the infrastructure of the TV centres. To assess the quality of the signal, and the impact on the population of the capital, the people who received the decoders signed a contract in which they commit to provide information about the product until 30 August. Cuban companies Radio Cuba and Copextel are responsible for placing the transmitters in different parts of the island and provide technical support for set-top boxes. According to experts, the experiment has good results, but until December they will not offer a conclusive assessment of the testing phase that began last April.